SEATTLE, Aug. 23, 2018 /PRNewswire/ -- Weyerhaeuser Company (NYSE: WY) today announced actions to reduce the liabilities of its U.S. pension plan while maintaining the plan's current funded status. First, Weyerhaeuser will offer select U.S. pension plan participants the opportunity to elect an immediate lump sum distribution. Distributions to those who elect to receive a lump sum will be paid from plan assets during the fourth quarter of 2018. Following the lump sum distributions, Weyerhaeuser intends to transfer a portion of its U.S. pension assets and liabilities to an insurance company through the purchase of a group annuity contract. As part of the purchase, the insurer will assume responsibility for annuity administration and benefit payments to select retirees. This transaction would also be funded with plan assets and would be expected to close in 2019. There will be no change to retirees' pension benefits as a result of the group annuity transaction. The company currently expects the lump sum and group annuity transactions will reduce the pension liabilities of its U.S. plan by approximately 30 percent and reduce the number of plan participants and beneficiaries by approximately 50 percent. To maintain the plan's current funded status in connection with these transactions, the company intends to contribute approximately $300 million (or approximately $186 million after-tax) to its U.S. pension plan during the third quarter of 2018. This contribution will be deductible at the company's combined 2017 federal and state tax rate of 38 percent. Additionally, Weyerhaeuser's U.S. pension plan assets will be transitioned to an allocation that will more closely match the plan's liability profile going forward. "We are committed to maintaining financially secure pension benefits for our pension plan participants," said Doyle R. Simons, president and chief executive officer. "These actions will position us to better manage future pension plan costs while maintaining continued benefits security. Additionally, we will benefit from favorable tax treatment on our pension contribution." Weyerhaeuser expects to record one-time non-cash pension settlement charges upon completion of the lump sum offer and annuity purchase, with amounts to be determined following the conclusion of each transaction. 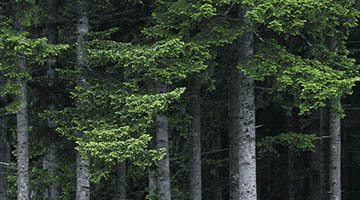 This news release contains statements relating to Weyerhaeuser Company's U.S. pension plan that are forward-looking statements within the meaning of the Private Securities Litigation Reform Act of 1995, Section 27A of the Securities Act of 1933, and Section 21E of the Securities Exchange Act of 1934, including with respect to the following: the management of plan assets and obligations including without limitation asset contributions and asset and liability transfers; plan funding status; expected tax benefits; asset investment strategy; future pension liability; and pension settlement charges. These statements generally are identified by words such as "expects," "intends," "will," and similar words and expressions. These statements are based on our current expectations and assumptions and are not guarantees of future results or developments. The accuracy of our expectations and assumptions is subject to a number of risks and uncertainties that could cause actual results to differ materially from those described in the forward-looking statements. These risks and uncertainties include without limitation: participation by plan participants in, and successful execution of, the lump sum distribution; negotiation and execution of one or more annuity purchase contracts; successful transition of plan assets to a new investment allocation; realization of expected tax benefits relating to plan contribution; and other matters described under "Risk Factors" in our 2017 Annual Report on Form 10-K as well as those set forth from time to time in our other public statements and reports and filings with the Securities and Exchange Commission. Forward-looking statements speak only as of the date they are made, and we undertake no obligation to publicly update or revise any forward-looking statements, whether because of new information, future events, or otherwise.